I'll just agree to disagree man. We both got diddly squat. Nothing proves they will ban or won't ban anyone. I don't understand where you are coming from. The ToS is pretty clear on the matter. 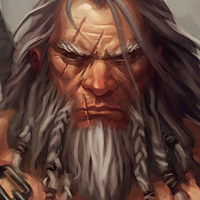 Nothing needs to prove whether Blizzard will or won't actually take action, that is of course unless people are looking for a statement from Blizzard that it's ok to use turboHUD as the ToS and EULA clearly places all users in the crosshairs and validates any action that Blizzard may or may not decide to take against their accounts. Blizzard not taking action up to this point is in no way a silent affirmation that using t-HUD is in any way ok or acceptable and Blizzard's statement in their ToS is as valid as any blue post you could hope to find on the matter if not more so given that the ToS and EULA are drawn up by Blizzard's legal teams. The creator of t-HUD says using it is an actionable offense. Blizzard's own TOS says using t-HUD (any third party add-on really) is an actionable offense. That means Blizzard has the *option* of taking action against any t-HUD users. Outside of a banwave happening or a personally signed, sealed, and delivered statement from Blizzard that they are cool with tHUD, what more do you want? From your posts it really sounds like only one of those two things is going to make you happy. This whole demand that Blizzard take action or rewrite the ToS feels pretty ridiculous. I understand the need for clarity, but the ToS already provides that. Use tHUD and accept any action Blizzard decides to take, don't use tHUD and you don't have to worry. If this is more about wanting to get the UI features of t-HUD implemented into the game, then there are probably better ways of trying to go about accomplishing that. The problem Lupo is that the TOS is vague and all inclusive in regards to different ways a program can violate it. As such, many programs are known to violate TOS for other reasons than cheating alone. Yolomouse, etc. One would assume that cheating would be very important but track record shows that it depends on what kind of cheating. Loot cheats like the bloodshard was very quick and extreme, whereas exp / gear / mechanics are ignored. So the question needs to be asked, if the TOS isn't what makes or breaks the program as banworthy, then what does? Rewriting the TOS is futile - I agree. I also think referencing the TOS as the reason to action is also futile. Yes, Turbohud is a cheat. I've never seen a gaming forum demand and complain as much as Diablo. Why does Blizzard need to make an announcement for you? Blizzard will do what they want to do when they want to do it. Every multiplayer game has cheats/exploits/bots. If you really can't take playing the game with them, you should look into playing a single player game. Aegis: Vres works as some sort of legal person for le mans. You know what they say...to a hammer everything's a nail. I don't think you'll get vres to get off the tos as his mainstay of his argument. He does the same thing with multiboxing. His modus operandi. It eventually degenerates to repetitive banter where he refuses to acknowledge anyone's salient points. Just to give you some history, people have quoted blues to this guy and he refuses to accept what they write and find logical fallacy / smoke & mirrors / rationalization to go forward with life. Not to mention he has some sort of inferiority complex + narcissism going on. Not sure if it was this thread or the other thread but he thinks I'm replying to him - when I've had him on ignore for a few days and responding to other posters. the damn thing and implement there own HUD. Or they ban everyone using it. Pretty simple. No one can say its this or that until a response from devs is announced. In fact, the only thing we have to go by right now is history and past banwaves / enforcements - which appear to be none for 3 years. It's circumstantial in nature but it is more than nothing. When something walks like a duck, quacks like a duck - it's probably a duck. It could change in a moments notice though. But according to that logic, Blizzard was cool was people botting in WoW for the last 6-12 months and it was only when they actually banned them that it became a problem? That's the main problem I have with this line of logic. Just because Blizzard isn't exercising their right to dole out punishment doesn't mean that they are cool with whatever is going on until they do. Also, to clarify my personal stance in this argument, it is one of mostly apathy. Do I think turboHUD is cheating? Per the terms of ToS and the eye test, yeah, I think it's cheating. Do I care if Blizzard takes action on it? Not really. I don't use it and I don't think that the impact against me as a casual player is large enough to cause me to rally against it. I do believe that Blizzard should try to implement some of those UI features though, those are pretty slick. I don't believe that Blizzard is cool with turboHUD just because they haven't come out and banned anybody for using it. Apathy and inaction doesn't trump the ToS in my opinion. This whole argument in a nutshell - TurboHUD: Use at your own risk. Been that way since day 1. Beyond that statement, it's anyone's guess. Regardless of the argument we have here, it is pointless. Blizzard will take action when they want to take action. Not any sooner or later. Forum posts etc. 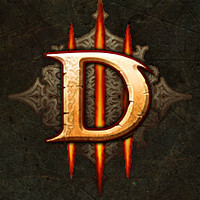 is really the only way to get Blizzards attention on issues in D3. It is the whole purpose of having a forum. I would like to hear what Blizzard thinks about this issue. Will they start doing anything or not. Since they have not said anything, the topic will remain highly relevant. Arguably, the topic could still be relevant after they said something, but at least then the discussion could be based on how Blizzard actually saw their own game, and whether that was good or bad. This particular cheat is long-lasting however. Not comparable to something like the Bloodshard exploit where it makes sense they cant comment on it the very second it is found. They have had quite some time to figure out their stance. If D3 was meaningfully competitive, I would take these threads seriously. But it's not, and I don't. Personally, I will continue to use TH as a quality of life buff. It makes the game more enjoyable for me so it would be stupid for me not to use it. If Bliz bans people like me, who have thousands of hours played since launch and feel entitled to play this non-competitive game on our own terms, I don't know what to say. Blizzard investigator A develops a data mining software that determines 21,940 people 'likely' have TurboHUD installed as of 9am on May 19th (given the exact number of bytes of memory and other measurable system resources the variously named applications are using in relation to the exact maps the players are in at the time.) He puts these user IDs into a table which includes things like total hours played, whether or not they are playing in groups all four of whom are suspected of using TurboHUD, a numeric score that indicates average speed of rift completion rating, and XP or shard/leg find or gem upgrade or Grift success efficiency. This numeric score would probably be called something like a TurboHUD Utilization Risk Denominator (TURD -- people love acronyms.) They pass this table on to someone who specializes in using such a table. Investigator B flips and twirls the table, and comes up with 200 accounts that are the most likely culprits who are most active and who are the most successful in their play by their TURD score. He passes those off in sublists of 20 accounts to people who specialize in monitoring and actively manipulating the games of players. Each of the recipients of these lists spends the afternoon of May 19th bringing up multiple views of what the players see as they play (like a much more detailed version of a realtime Youtube view of their games) where they overlay what the map would look like if complete versus not complete at the start. 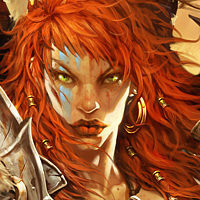 These employees feed the players maps that are manipulated to be extremely 'tempting' to the players; examples would be maps with goblin packs, well-placed resplendent chests, particulatly nasty elites to be avoided, or GRift levels at the last 10% of the kills required with ideally placed speed and power pylons. Behavior is monitored, and if the rats go for the cheese, confirmation information is sent on to another employee who is compiling a ban list. This is all hypothetical, but if I was an internal security systems analyst at Blizzard, I would prepare an action plan like this and choose team members to implement it. Say the following 'Blizzard, even though I disagree with your decision, I made the decision to violate the terms of service that I agreed to in order to use your software and good on you for finally deciding to enforce them'. Or something along those lines. Anyone who uses tHUD knows the risks and should be prepared to accept the consequences (no matter how unlikely). Best case scenario: Blizzard is cool with it and implements tHUD into the game. Worst case scenario: Blizzard bans all tHUD users. No one has any right to be angry or upset at Blizzard if either of those outcomes happen. I really doubt anyone will be banned for using Turbohud, but you never know. There is a small risk involved. I have seen videos of it in action and while it's a nice program that gives the user some advantage, it all depends on how serious Blizzard is in maintaining the integrity of its License Agreement with its players. Personally, I would never use it. It takes the fun element of surprise out of the game and it is slightly possible it could result in a ban. If Blizzard added the ability to see mobs outside your screen. that is. But anything is better than the current situation. Dear HUDers, you lack the will of the warrior. We went out and honed our skills, we learned, we grew. You dorks used THUD instead. What would you do without your crutches? Vresiberba, please do not become too upset by what some people say here on the forums. 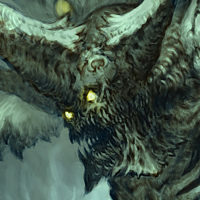 I appreciate your contributions to the dialog and thought processes concerning the use of TurboHUD with Diablo III. While we have had our disagreements, I have nothing but respect for your perspective and your person. Maphack for diablo 2 was basically the same thing and was detectable by warden and got a great deal of people banned. I don't see why this isn't detectable but maphack was and was constantly banned for. Botting isn't the same thing man. 3 years is a bit different than 6-12 months. Also bot banning is relatively complicated due to the ongoing adjustment of bots to known banning algorithms. It's well known that blizzard has banned bots repeatedly in the past. Thud - not so much. if action is taken, destroy D3 community.